QUALITY, PERFORMANCE, CONVENIENCE, ALL ROLLED INTO ONE. If your project is price sensitive or low quantity we suggest you try our sheet labels. Contact us for a custom quote. NO SETUP COSTS: Print your roll label in any size you want without expensive die cut fees. 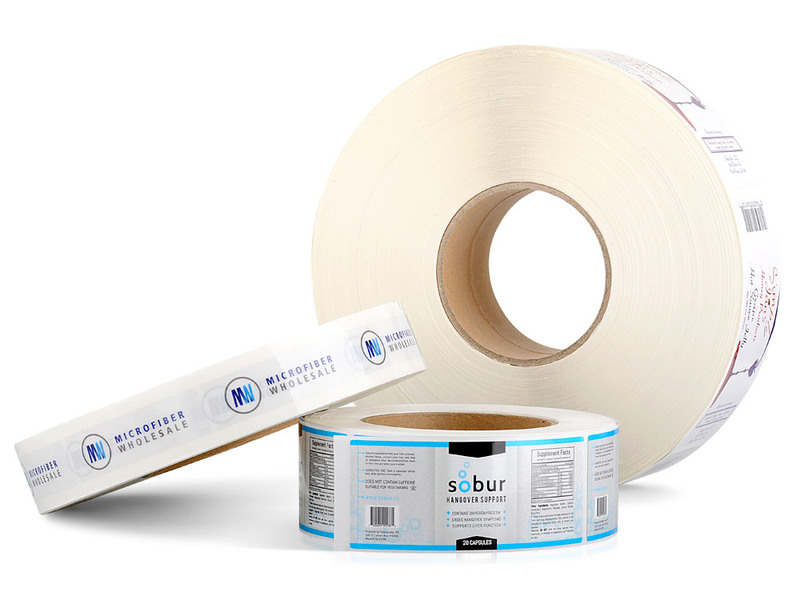 SHIPS FREE, NO MINIMUM AMOUNT NEEDED: Get your custom roll labels in 6-8 days (includes Production, QC, FedEx shipping). – Taking less storage space and easier to dispense than sheet labels, your roll labels can be further customised by specifying unwind direction for quick application with your machine. 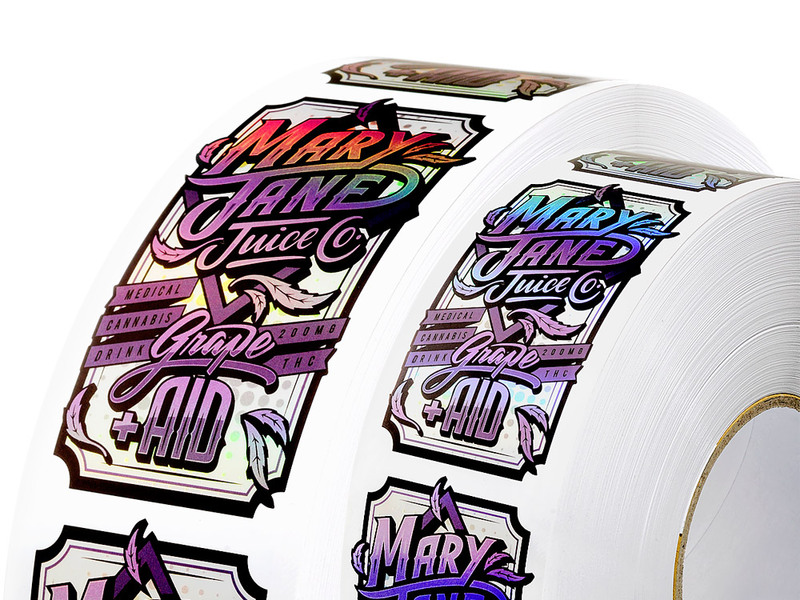 – Printed on an HP Indigo digital press, your labels will have the visual premium of true gradients, inks that don’t run, and vibrant colours. Roll label format makes application efficient, best for labeling machines. Coated and uncoated options increase aesthetic and functional value against wear-and-tear. 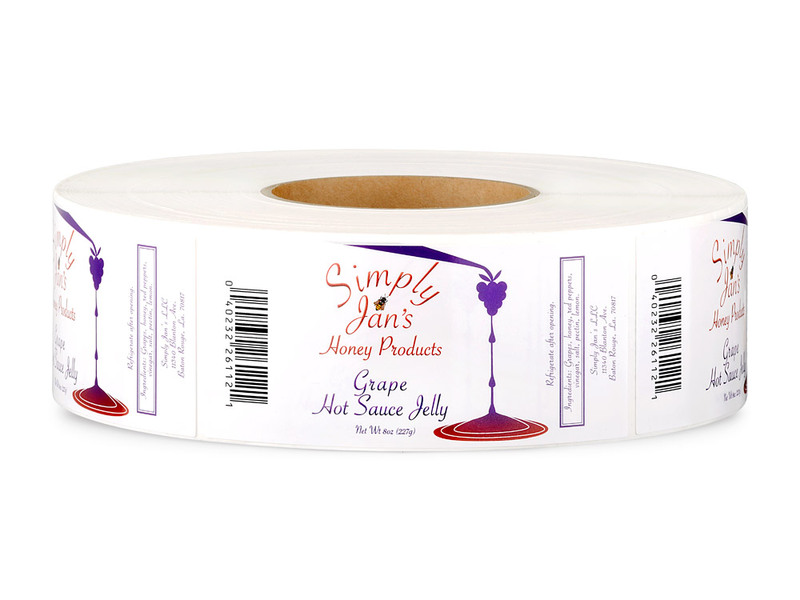 Order a total quantity of roll labels with multiple designs for only a small fee. 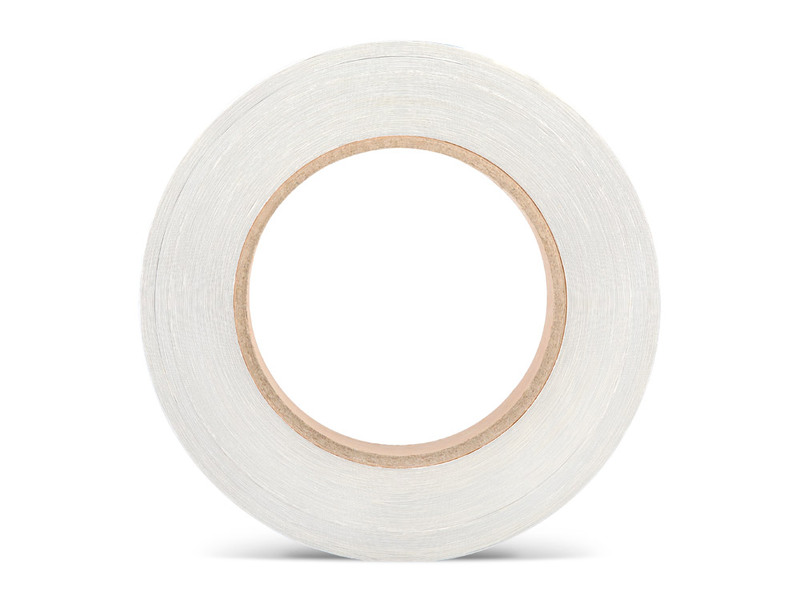 Get your roll labels in the exact size you need, without excessive die cut fees. Die cut fees will only apply to non-standard shapes. 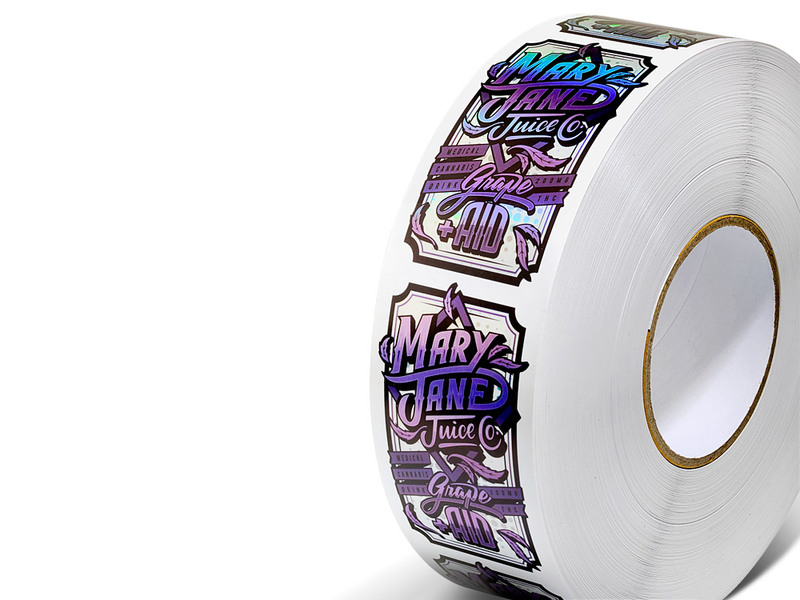 Free proofing and free layout on all your custom roll label orders! For design services, please contact us. Custom roll labels are your best option compared to sheeted labels if you already have a labeling machine. Labels on a roll make label application less complicated and less prone to error in labeling operations. If you aren’t sure if this is the best option for you, contact us for a free consultation, no obligation..
Our full range of capabilities and roll label options guarantee best practicability with premium quality while keeping costs low. Our standard press options are Offset and Digital—since we can print labels using many print processes, you can be sure of made-to-measure labels suited exactly to your labeling needs while getting the most quantity for the least amount of money. Unlike other printers, with Inkable Australia you can print any size that you want (1”x 1” up to 12” x 18”) and enjoy hassle-free and cost-effective roll label printing, with no additional setup fees. * FOR SQUARE AND RECTANGLE LABELS, corners can either be straight or rounded, depending on your custom roll label needs. Choose the correct orientation for your roll labels and make sure that the direction that your labels are coming off the roll compliments your labeling operations. This is needed for successful application, especially for machine application. or true showstoppers, our Label Special FX creates 100% custom labels that realise your own creative concepts. Our print expertise is matched by our press capabilities, and this makes us flexible and ready for any type of custom label project. When you print your custom roll labels with us, you enjoy a truly comprehensive service that saves you hundreds of dollars… And we haven’t even gotten into print cost yet! Whenever you place a standard order with us, you don’t need to worry about the added shipping cost—NO RUNNING AFTER A MINIMUM AMOUNT TO BE SPENT, NO SURPRISE FEES, ALWAYS SHIPS FREE TO YOUR DOORSTEP*. Enjoy painless *custom label preproduction with your complimentary print consultation and advice, plus manual artwork inspection and free revisions of file errors. WE’LL GIVE YOU THE PUSH THAT YOU NEED TO GET STARTED. We respect and welcome your need to discuss before deciding on the appropriate label product that will help you produce the results that you are after. LET’S TALK—NO OBLIGATION, NO PRESSURE. Value-for-money custom roll labels mean you get more results without cutting corners. You won’t need to sacrifice size and orientation just to fit a printer’s specifications. ANY SIZE YOU NEED WE CAN DO IT, WITHOUT THE EXPENSIVE SETUP COSTS. CLEAR LABELS ARE BEST IN ROLL LABEL FORMAT. The versatility of clear labels is in high demand especially for products with transparent containers that showcase its contents. Clear labels applied by hand does cause issues due to the transparency of the material. Even with a skilled hand, “bubbling” happens a lot—this is when air pockets find their way in between label and container surface. If you are investing in your production line and are keen on getting that “no label” look, machine-applied clear labels will make things less complicated and a lot smoother for your operations… No bubbles! BEFORE ORDERING, CHECK THE COMPANY ROLL DIRECTION CHART. To save you from a major headache, it is always best to confirm how your labels come off on the roll. It’s important to note that roll directions vary from labeling company to another—if you’re changing your label applicator, always check if your roll label direction coincides with the previous one because it’s often too late to change the roll direction once production has begun. IF YOU’RE USING ROLL LABELS BUT APPLYING THEM BY HAND. Compared to sheets, rolls are still easier to manage with manual application. 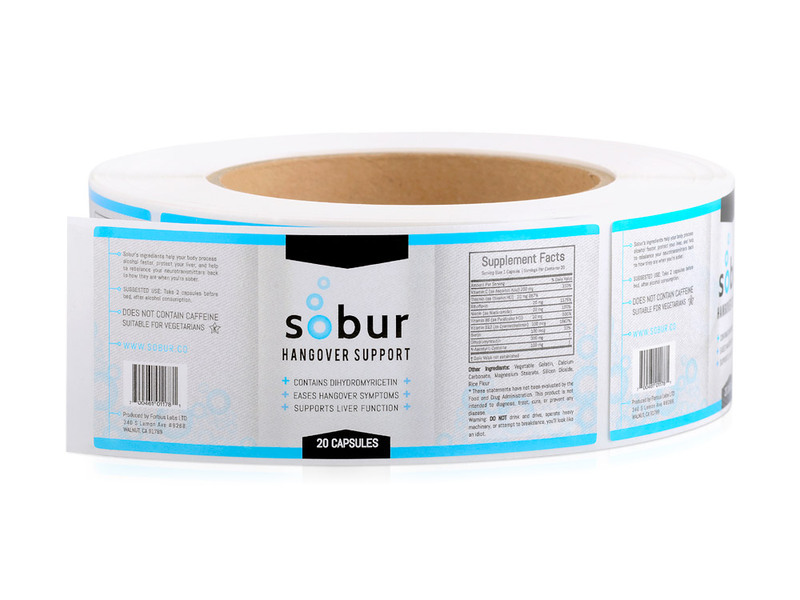 Unlike the flat format, the curved roll allows you to easily find and lift the edges of each label. To avoid wrinkling and to perfect proper positioning requires a skilled hand; but always remember to snip off the used liners of labels that have already been dispensed from time to time. This excess weight will create arm fatigue, especially if you are employing the technique of applying your labels by sticking and holding one side of the label onto the container and letting the rest of the label stick quickly by pulling off the liner in the opposite direction. We print roll labels to any size. Please double check artwork dimensions before sending to save on proofing time.